LOW SEASON DISCOUNTS FOR ONLINE BOOKINGS TODAY!!! PARASAILING (regular ride): About 15 minutes in the air! 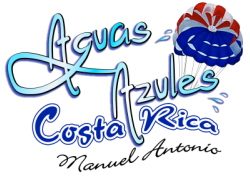 Includes transportation from hotels and houses in Manuel Antonio and Quepos. SALE DETAILS: To receive this special sale price offered here for this limited time only, please follow the BUY NOW link below and and select the first option which says TOUR DEPOSIT. Select the date you would like to to reserve and the number of people. We will contact you right away to tell you available times and ask you what Parasailing Options you would like to reserve and then confirm your reservation! You will pay the balance due the day of the tour. **Maximum combined weight between 400-450lbs depending on weather conditions. ** If you would like to reserve and purchase your tour, please select the buy now button below. It will take you to a separate website operated by our bank where you can make your purchase. Please note that availability changes quickly. We will respond as quickly as possible (but no later than 12 hours after receipt of your reservation) to confirm your reservation and pickup details. We will do our best to accommodate the hour you select, but if not possible, we will offer you alternatives or the option to cancel the reservation. In addition, if you do not see a time available that works for you, please do contact us as there may be other openings available. **Please also note when purchasing your tour that while the system will ask you for number of adults, you should only enter the number of tours you wish to purchase (e.g. 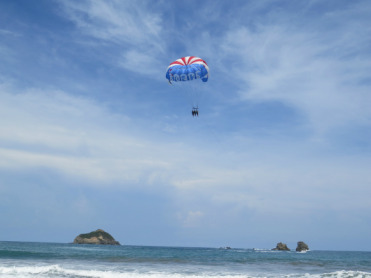 if you want to purchase a double parasailing, select only 1 adult to buy a double parasailing that will include the parasailing tour for 2 people to fly at the same time.